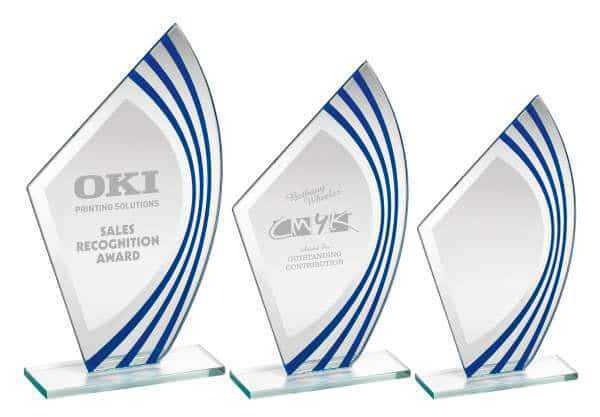 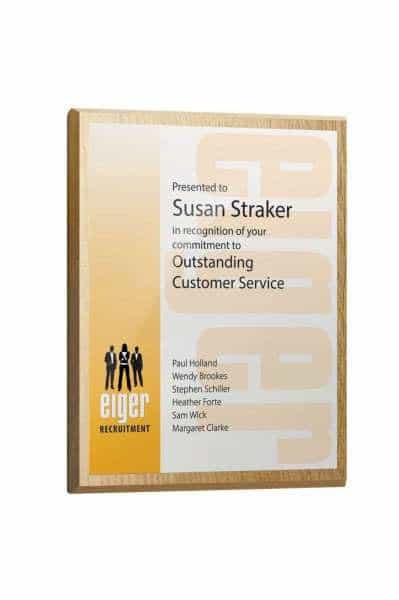 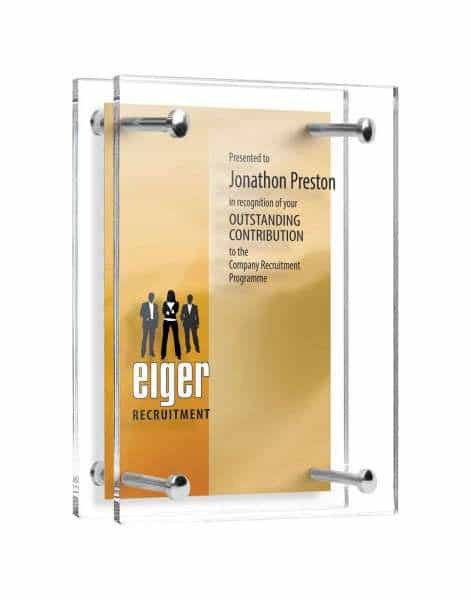 This glass award epitomises success in every sense and offers a dazzling display. 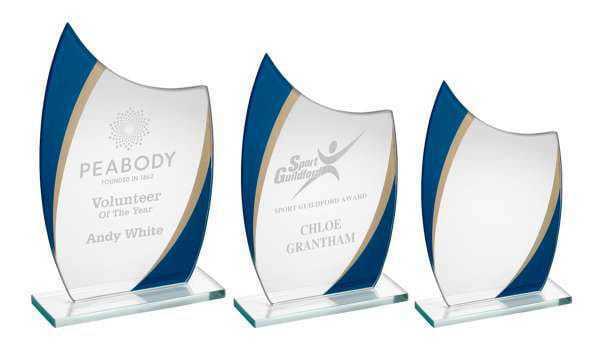 Standing at a maximum of 19 cm, the award curves beautifully at the top for a truly stylish design. 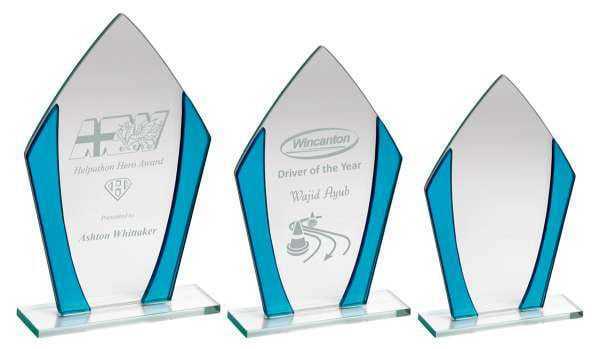 The blue and gold accents at both sides bring attention to the glass award. 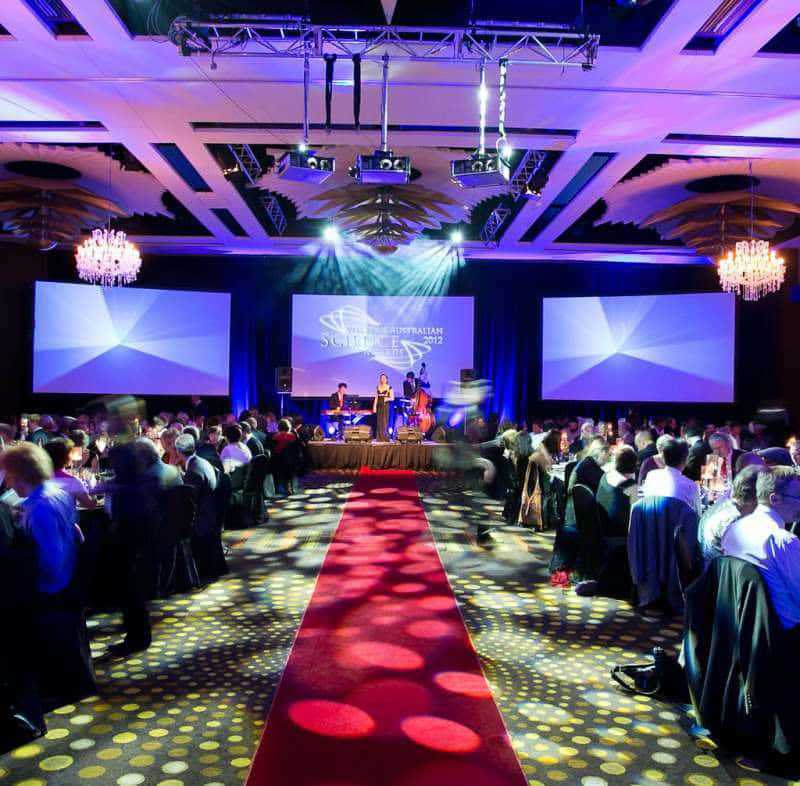 Recognise extraordinary achievements with an award that does not compromise on elegance. 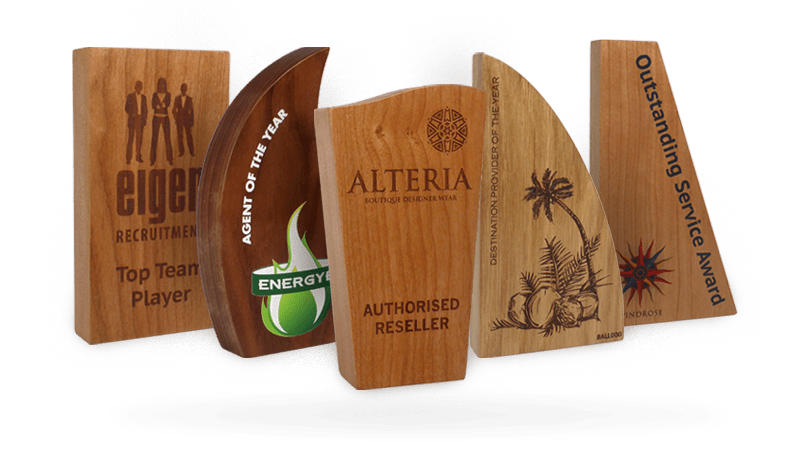 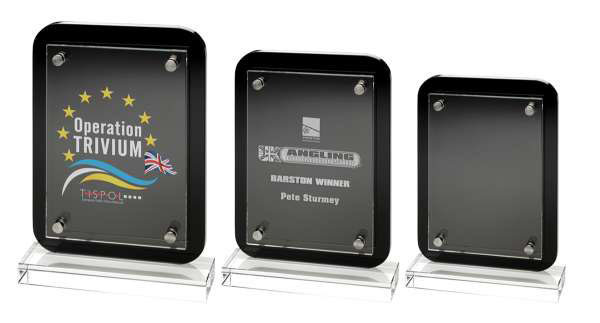 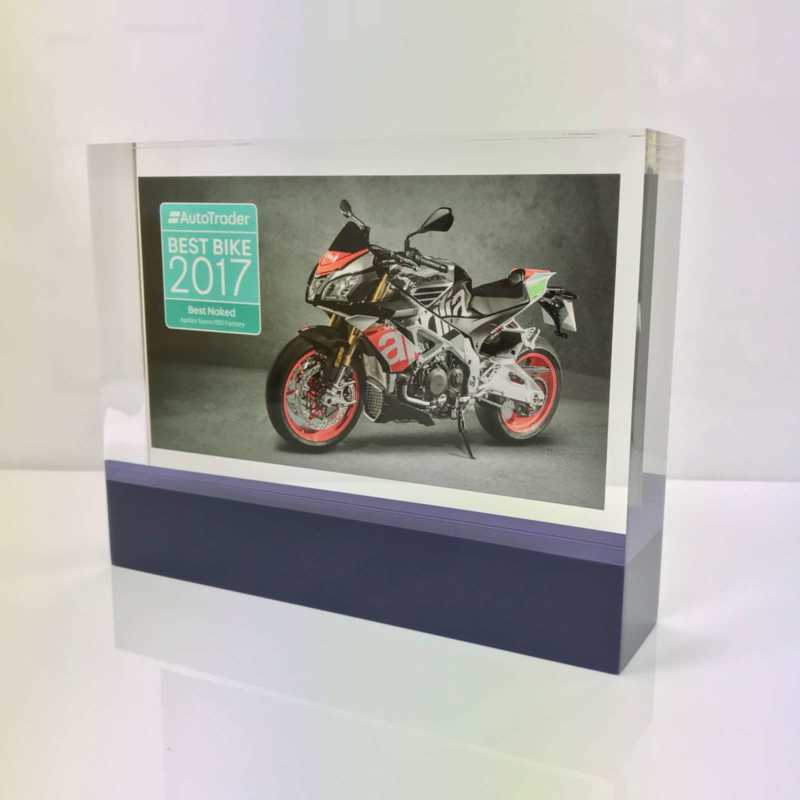 The glass award offers a large surface for personalised engraving and branding. 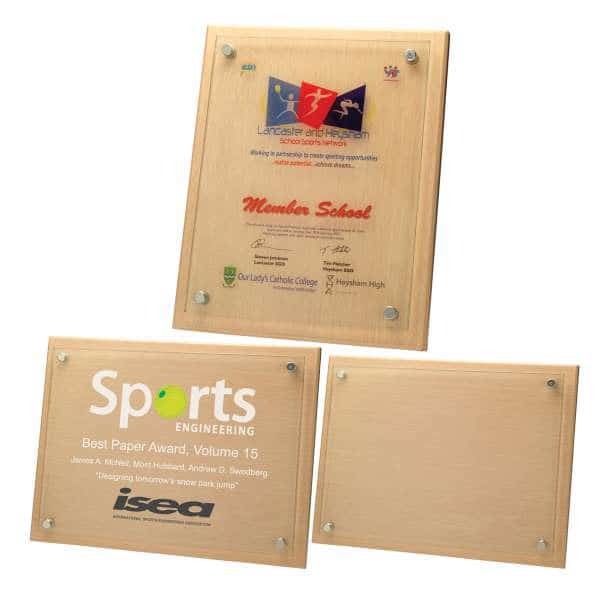 Two more sizes are available.